Turn your bedroom into a midnight garden with this beautiful quilt set. 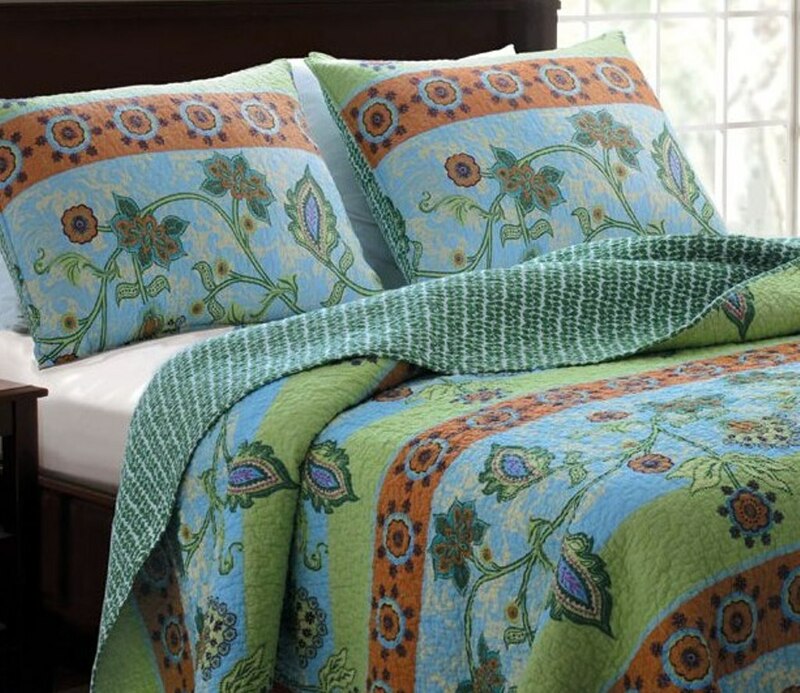 Flowing vines with rustic orange flowers and blue-green leaves are interwoven with rows of warm blossoms ensuring a peaceful slumber. 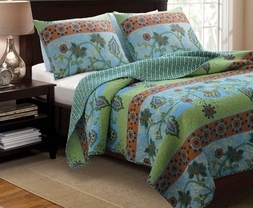 Reverses to a rich leaf print for two looks in one. 100% cotton throughout.